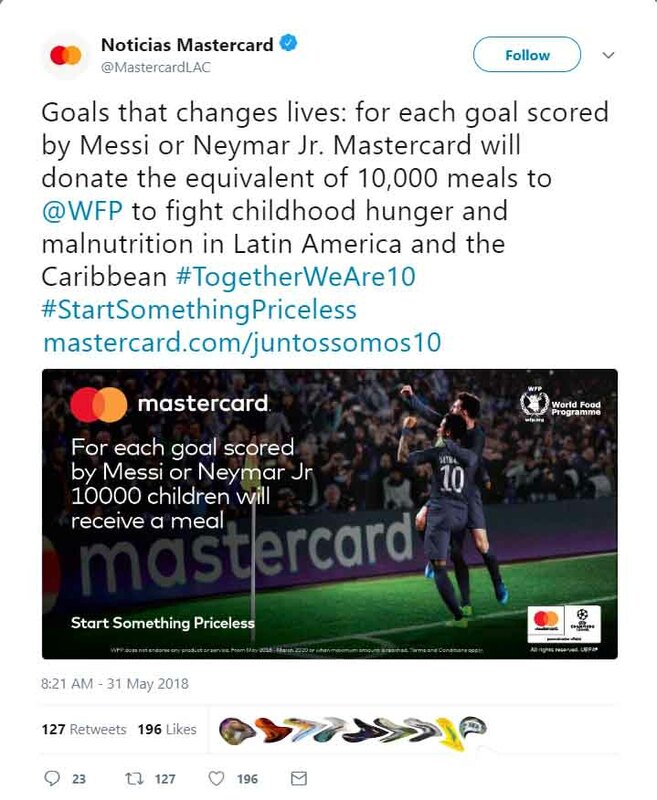 Mastercard is facing a backlash on social media after launching a campaign promising to donate the equivalent of 10,000 meals to malnourished children for every goal scored by Lionel Messi or Neymar in this summer’s World Cup. 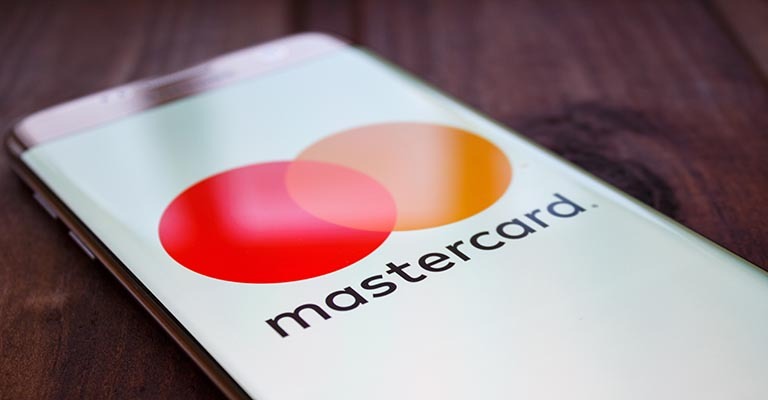 To date, Mastercard’s post has been retweeted 129 times and the majority of responses appear to be critical. In an official press release on its website, Mastercard states, “The goals scored by Messi and/or Neymar Jr. will now take on a new meaning. Over the next 21 months, each goal represents an opportunity to unleash the power of a meal”. According to the announcement, the campaign is called “Priceless” and the donations will be made to the United Nation’s World Food Programme (WFP). The campaign launched on 10th April and is being promoted under the #TogetherWeAre10 hashtag. “The #TogetherWeAre10 movement is an example of how companies can do well and do good to drive a more inclusive society,” she said.